William Faulkner in Japan, 1955. Japan invited William Faulkner to visit and lecture in 1955 after the writer won the Nobel Prize for Literature in 1949, as well as the Pulitzer Prize for Fiction and the National Book Award. The Union County Museum will feature this as the topic of Museum Moments on August 16 in New Albany as part of the Faulkner Literary Festival, which begins in August and continues into October. Dr. Chris Rieger, professor of English at Southeast Missouri State University and Director of the Center for Faulkner Studies. Dr. Chris Rieger, Faulkner scholar from Southeast Missouri Sate University, will speak at the Union County Heritage Museum on Thursday, August 16, 2018, 12 noon. His topic is “Faulkner and Japan: An Enduring Bond”. He has recently returned from Japan on a lecture series about Faulkner. On his 1955 visit, Faulkner spoke to a group of Japanese teachers of English language and literature at the Seminar for American Literature in the mountain resort town of Nagano, and he then gave lectures in other locations. Rieger will talk about the Faulkner influences in Japanese literature. “My talks in Japan will be comparative approaches that look at Faulkner, the Japanese author Yukio Mishima, and the Chinese author Mo Yan,” Rieger said. Enthusiasm for Faulkner in Japan was strong. Part of it was his status in the world for literature. Parallels also existed between the world of Yoknapatawpha, mirroring the south after the Civil War, and the postwar Japan from its losses in World War II. Director of the Center for Faulkner Studies in 2013 after serving as the Assistant Director under Dr. Robert Hamblin for six years. 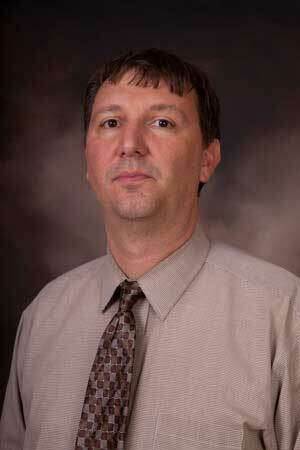 He is a professor of English at Southeast Missouri State University where he has taught since 2007. He received his Ph.D. from Louisiana State University and is B.A. from Emory University. The event is free. There will be a light lunch beginning at 11:30 courtesy of Renasant Bank. For more information call the museum at 538-0014.